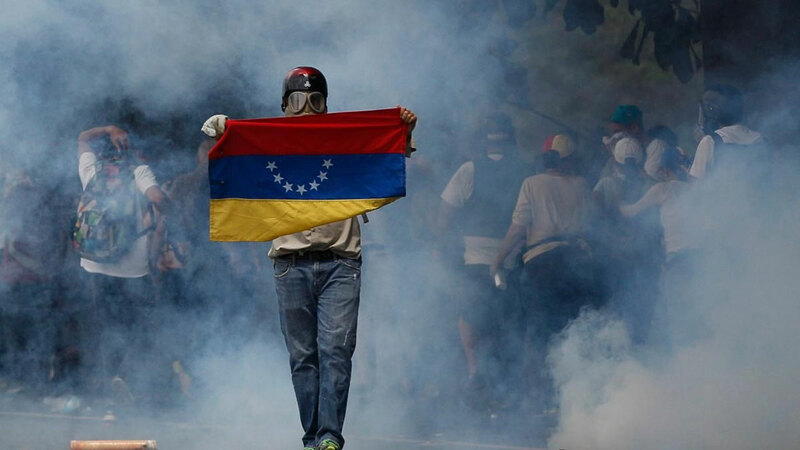 VALENCIA, Venezuela (AP) — General Motors announced Thursday that it was shuttering its operations in Venezuela after authorities seized its factory in the country, a move that could draw the Trump administration into the escalating chaos engulfing the South American nation amid days of deadly protests. The seizure arose from an almost 20-year-old lawsuit brought by a former GM dealership in western Venezuela. The dealership had been seeking damages from GM of 476 million bolivars – about $665 million at the official exchange rate, or $115 million on the black market where many Venezuelans are forced to turn to sell their increasingly worthless currency. GM said it was notified this week that a low-level court ordered the seizure of its plant, bank accounts and other assets in the country. Hundreds of workers desperate for information about their jobs gathered at the plant Thursday to meet with government and military officials, as well as representatives of the dealership that brought the lawsuit. 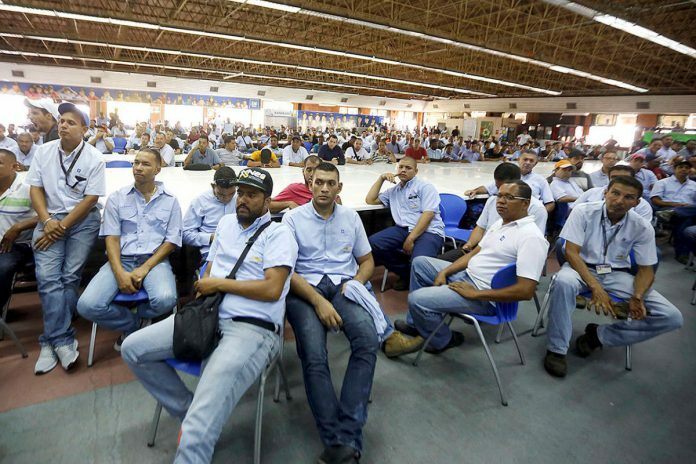 The neglected factory hasn’t produced a car since 2015 but GM still has 79 dealers that employ 3,900 people in Venezuela, where for decades it was the market leader. General Motors’ announcement came as Venezuela’s opposition moved to keep up pressure on President Nicolas Maduro, taking to the streets again Thursday a day after the biggest anti-government demonstrations in years. It’s not the first time the Venezuelan government has seized a foreign corporation’s facilities. Last July, the government said it would take over a factory belonging to Kimberly-Clark Corp. after the American personal care giant said it was halting manufacturing because materials weren’t available in Venezuela. But the move against GM, the United States’ biggest automaker, was a much more powerful statement, and could lead to a further erosion of relations between the two countries. “A fair, predictable and transparent judicial system is critical to implementing the essential economic reforms critical to restoring growth and addressing the needs of the Venezuelan people,” State Department spokesman Mark Toner said. Later Thursday, Maduro said he had called for an investigation into cellphone operator Movistar for allegedly being part of the “coup-minded march” organized by adversaries of his government. He said the subsidiary of Spain’s Telefonica “sent millions of messages to users every two hours” in support of Wednesday’s protests. Tens of thousands of protesters took to the streets again Thursday to demand elections and denounce what they consider an increasingly dictatorial government. They were met by a curtain of tear gas and rubber bullets as they attempted to march to downtown Caracas. Across the country, the clashes have been intense. Pro-government militias were blamed for two deaths on Wednesday, including that of a teenager in Caracas who was heading to a soccer game with friends. However, government officials cast doubt on the account saying the other victim, a 23-year-old woman, was killed by a member of an anti-government movement led by former congresswoman Maria Corina Machado, a claim Machado denied. The third fatality was a National Guard sergeant killed overnight when his squad was attacked with gunfire while trying to control disturbances in a suburb of Caracas, the chief prosecutor’s office said. Another officer was wounded in the clashes. Another five people have been killed in the three weeks of protests sparked by a Supreme Court decision to strip the opposition-controlled Congress of its last remaining powers, a move that was later reversed amid a storm of international criticism. The move has energized Venezuela’s fractious opposition, which had been struggling to channel growing disgust with Maduro over widespread food shortages, triple-digit inflation and rampant crime. Opponents are pushing for Maduro’s removal through early elections and the release of scores of political prisoners. The government last year abruptly postponed regional elections the opposition was heavily favored to win and cut off a petition drive to force a referendum seeking Maduro’s removal before elections late next year. The opposition sees the government measures as turning Venezuela into a nearly full-blown dictatorship. The government hasn’t backed down. Maduro, addressing supporters Wednesday, said he was “anxious” to see elections take place sometime “soon” and repeated his call for dialogue, something many in the opposition see as a stalling tactic. “Today they attempted to take power by force and we defeated them again,” said Maduro, adding that authorities rounded up several armed opponents seeking to carry out a coup. He didn’t provide any evidence to back up the claim, and the opposition rejected it as an attempt to intimidate Venezuelans from exercising their constitutional right to protest. As tensions have mounted, the government has used its almost-complete control of Venezuela’s institutions to pursue its opponents. On Wednesday alone, 565 protesters were arrested nationwide, according to Penal Forum, a local NGO that provides legal assistance to detainees. The group said 334 remained in jail on Thursday. General Motors Shutters Operations in Venezuela, Authorities Seized its Factory. The plant in the industrial city of Valencia was confiscated Wednesday.